Last Stand, along with other environmental organizations, is trying to monitor U.S. 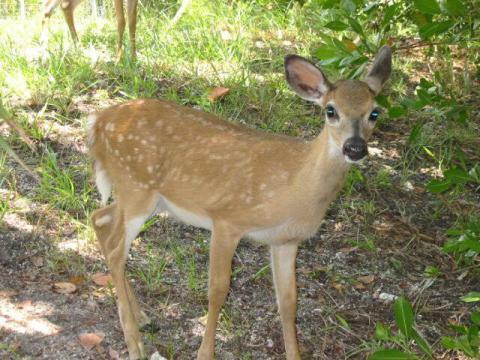 Fish and Wildlife Service actions that could lead to a down-listing of the endangered status of the Florida Key Deer. In order to change status under the Endangered Species Act, six criteria must be satisfied. Attorney Richard Grosso has written to USFWS officials in Vero Beach to provide support why these criteria have not been satisfied, and why the Florida Key deer status should continue to be listed as endangered. Further loss, fragmentation or degradation of suitable occupied habitat in the Lower Keys has not been prevented. Big Pine and No Name Key contain 60% of parcels that provide deer habitat. These are identified to be at-risk for development. Progress is being made on removing native and non-native nuisance species. However the criteria that these be reduced by 80% has not been satisfied. In 2010 USFWS reported that 21% of all suitable, occupied habitat still has not been protected through land acquisition or cooperative agreements. Since that time funding for Florida Forever has been a fraction of historical levels. It is not clear that any of the 2018-19 budget allocation to Florida Forever will be used to help protect this remaining habitat. Staffing shortages and recent transfer away from the Florida Keys refuge of the only Key deer biologist have restricted Refuge staff efforts to manage, restore and rehabilitate habitat on protected lands. Lack of consistent fresh water sources have restricted the Key deer population from expanding throughout its historic range. Hurricane Irma in 2017 and continuing impacts of sea level rise have significantly impacted availability of fresh water that is necessary for Key deer population survival. USFWS remarked as recently as last year that Key deer “have decreased to near extirpation on more distant islands such as Cudjoe and Sugarloaf Keys.” Establishing two additional stable populations along the periphery of the historic range of Key deer is the sixth criteria that also has not been satisfied. Additional factors, including mortality from New World Screwworm and following Hurricane Irma contribute to the need to continue listing Florida Key deer as an endangered species. Good News for Keys Energy customers - our power is getting Greener.